The data within the CMDB is applied to nearly every area of the ServiceNow platform. This is why, since ServiceNow’s Aspen release, CMDB has always been the bedrock of ServiceNow, and will continue in this role even as ServiceNow expands its product to add new features and functionality. 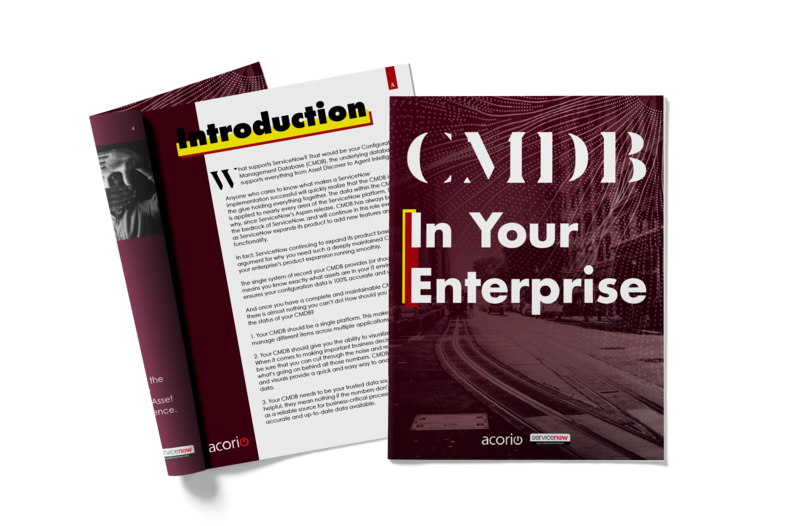 Fill out the form to get your CMDB eBook.